Last edited by Wyvern on Thu Jan 04, 2018 10:09 pm, edited 3 times in total. That's a pretty cool list! Yep. Instrument design still involves a big slice of trial and error. I was told at the Melton (Meinl-Weston) plant years ago that fully 3/4 of their prototypes end up taken apart or hidden away because they had wonky intonation or inconsistent resonance ('dead' areas). Both those Eb's sound exciting. Before I bought the BBb, I nearly got a Pt-22p.. I'll have to keep an eye on this forum now! We could, but I perceive low demand against piston valves 6/4 CC. Maybe in 2019? New Models: The (old) British F Tuba. Many requests here seem intent on obtaining a cheaper version of existing models, or tweaking previous design concepts. Financial priorities are a reality, but sometimes short sighted. When cost is the overriding factor, the musical gains often suffer. My own personal desire would be to bring back a "lost sound" - that of the old B&H "F" tuba, a sound now only heard via recordings. We have a huge lot of German and American type instruments now, even a revival of the old French tuba. However, considering the fact that many late Romantic/early modern British composers used the old British "F" as their model, I feel that a market exists for such an instrument, with real performance potential. Last edited by kathott on Mon Jan 08, 2018 2:37 am, edited 1 time in total. I'd second a LARGE 6/4 Rotary CC. If Schiller can do it, so can you. To clarify: All new rotary valve wessex tubas now have this style linkage? Not just new models, but on every older model as well? 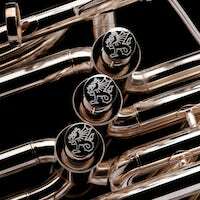 kmorgancraw wrote: To clarify: All new rotary valve wessex tubas now have this style linkage? Not just new models, but on every older model as well? Yes - I don't think we have any old stock with anything else. Most also have removable Z valves, better than supplied by any other company, as they are easy to take out and clean (or even replace). The rotary valves on new Wessex are quiet and reliable - I will not accept anything else. Well that's a game changer. You should update your marketing to reflect these amazing changes. kmorgancraw wrote: Well that's a game changer. You should update your marketing to reflect these amazing changes. When are those new photos hitting the website? I'll be very interested in hearing more about the German Kaiser BBb tuba when details are available. There are some great models in development by Wessex, and it's good to see continuing evolution of quality and design. Last edited by WagnerRing on Tue Jun 12, 2018 7:39 pm, edited 1 time in total. The Kaiser tuba will be based on classic B&F design, but we are working to improve intonation while retaining the great tone of these tubas (the ideal German tuba tone IMHO). The Kaiser is being developed with input from Daniel Ridder of the Musikcorp der Bundeswehr in Germany who we plan will check out the prototype at the factory in August before we go into production. The Kaiser, like the Wessex Chicago CC, will be hand-hammered and therefore lightweight, just like the original horns. So... This would obviously be a bit of a niche instrument, but I'd like to see a 3/4 Rotary CC tuba with 5 valves, about the size and relative shape of a Miraphone 184 but shorter in height, with a valveset similar in layout to a rotor PT6. 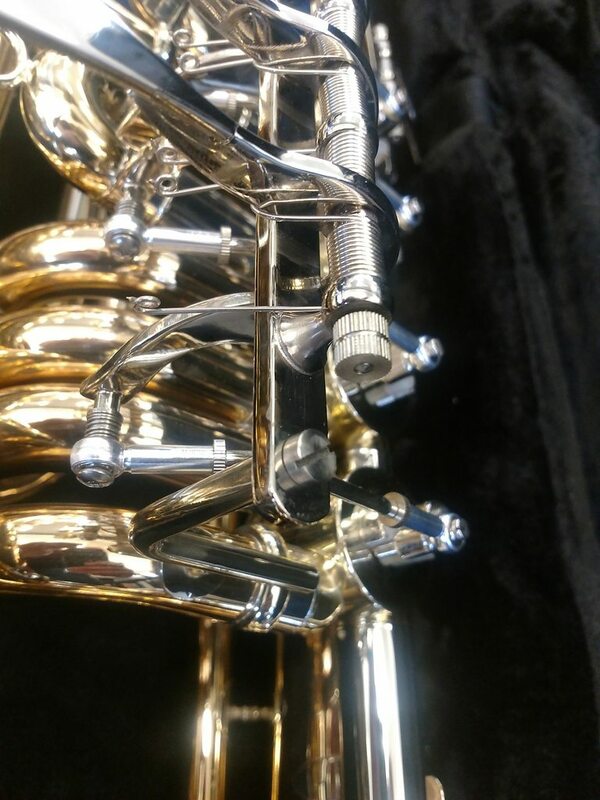 (Wide main tuning slide pointed straight down and compact upper slide setup) On this instrument, it would be amazing to have a detachable bell so that the instrument could travel more easily on a plane (a la Kanstul suitcase tuba). My reason for suggesting this particular design is so that pit tuba players might have a travel friendly compact instrument with 5 valves. ...The Kaiser tuba will be based on classic B&F design, but we are working to improve intonation while retaining the great tone of these tubas (the ideal German tuba tone IMHO). The Kaiser is being developed with input from Daniel Ridder of the Musikcorp der Bundeswehr in Germany who we plan will check out the prototype at the factory in August before we go into production. The Kaiser, like the Wessex Chicago CC, will be hand-hammered and therefore lightweight, just like the original horns.